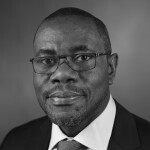 Cornelius Williams is Associate Director and Global Chief of Child Protection for UNICEF’s Programme Division. He has over 25 years of experience in managing child protection programmes in Western, Eastern and Southern Africa with UNICEF and Save the Children. As a child rights advocate he has been involved in advocacy that led to improved protection of children from sexual exploitation and abuse in humanitarian settings, reduced recruitment and use of children by armed forces and groups and increased access of children to identity documents/birth certificate and social assistance and other services. Mr. Williams has played a leading role in coordinating UNICEF’s engagement with governments and other partners in the development of programmes for the prevention and response to violence against children in countries in Eastern and Southern Africa. He is a national of Sierra Leone and holds a Master’s Degree in International Child Welfare from the University of East Anglia, United Kingdom.